You are not logged in. [Log In] Pond Boss » Forums » INTRO » Questions & Observations » Lunker trauma! Sure didn't know this! #497728 - 10/20/18 01:00 PM Lunker trauma! Sure didn't know this! I spoke with a fisheries biologist today, who happens to also be the manager of a large (65 pond) state sport fish hatchery here in LA, and she told me something I was not aware of concerning large trophy sized bass. She said that once a 10 lb plus LMB is caught, regardless of the handling afterwards, that moment marks the peak of that fish's development and it will begin to enter a slow but permanent decline from that point forward. She said that data from both the Texas "Share a Lunker" program as well as the Toledo Bend lunker program show this correlation. (They attribute this fact to the stress catching and tagging imparts on such a mature and older fish) In fact, they have NEVER seen a re-caught "lunker" sized fish that showed ANY growth post catch, and in fact each and every one has been in decline. Which begs the question, at what point does tagging and releasing become a danger and/or hindrance to a developing fish? Wow, that's scary! I don't recall reading or hearing anything like that ever, but would obviously have big implications if true. Younger fish, like younger humans, bounce back from stressful events better than older fish. On the surface (no pun intended) this makes sense. Wonder if any of the pros here has heard this? And does this apply to fish caught by electroshock as well as rod & reel? I seem to remember when TA&M was working hand in hand with the TP&W researching LMB back in the 80's and 90's. Lake Fork and the fish in the lake were studied. I read where they would catch a large lmb(can't remember the sizes but they were larger sized) and add a transmitter in the fish prior to release where they could study the patterns and or whatever. Re-catch the fish a year later and I believe the fish had added some weight. I don't think it was a lot of weight but there was an increase. Hay! I would not bet my life on it , but I think I remember stuff like that back then. The share a lunker program is about using the fish for reproduction of the genetics, so I would expect the lunker's to lose weight in captivity. Bob Lusk says moving large lmb to a new place they will not adapt and lose weight. I guess it makes sense. Huge fish are going to generally be senior citizens. Stress can certainly take a toll on the body. Bob Lusk says moving large lmb to a new place they will not adapt and lose weight. Some do adapt, some don't. I caught 'ol Betsy. May she R.I.P. I don't believe generalizations like that. The operative part is "old" not "big". Plenty of evidence that big fish keep growing until old age or lack of food intervenes. I have seen 4 yr old 10 lb LMB that kept their size or grew for many years after being caught. In addition many of the Share Lunker 10+ lb LMB (all well over 10 lbs) kept growing and reproducing after being caught. Actually, it wasn't a generalization, I was repeating specifically what a person very familiar with the Toledo Bend Lunker program said, in conjunction with the data from the Texas Share a Lunker program, and was based on the facts they have observed from their research into the subject. I'm not saying that there aren't some that continue to thrive after being caught at that age/size, I'm just saying that in TWO of the largest programs of that type in the country, they haven't seen any that did. I agree with you though, that "old age" probably has more to do with it than "size." I would sure be interested in seeing the TPWD data. JKS, would you have a link to it? My biggest question is how would one determine whether or not the LMB was already in decline prior to being caught or tagged? EDIT: I went out to feed my CNBG, and I thought about the first Share A Lunker, Ethel. She gained 3#'s over an 8 year period after Mark caught her at Lake Fork, and "loaned" her to BPS. Don't know if this may have any bearing but sometimes large reservoirs go through a boom in forage during and subsequent to flood years. There is an increase in fertility and predators benefit but lag in the process. Eventually after a big growth spurt and reproduction of predators the fertility declines and all the big fish are trying to hold their own. Maybe this is just a natural decline in fertility that is affecting the larger fish. JPS, more than likely that's what happened at Lake Fork with Ethel. TPWD killed out and stocked multiple ponds that were going to be flooded when the dam closed. Mark caught her 6 years after the LF dam closed, but she was 11 yo when caught. When they escaped those ponds, I bet the forage was limitless, and dumb. Probably the largest largemouth caught, weighed, released, caught again, weighed and released, "Dottie," went from 21 pounds to 25 pounds in three years. Well documented California fish. Yes I understand and my reply was to the comments made by the them. It was not directed toward your posting of their statements. There is a lot of data indicating the contrary opinion to their statement. There is a 16 yr study by TPWD where fish were monitored from birth to death measuring age , growth and feeding (forage). These fish were repeatedly stressed over the time period and kept growing until the last one died at 16 yrs old. Very interesting, and glad to know that! Thanks for the info. Just goes to show how much I knew about Share a Lunker. Been living here in Texas for 5 years and I have seen the links at TPWD directing one to this program but never looked. I had always presumed this was program to encourage catch and release of trophy fish. Like "Share a Lunker with other fisherman" so they can also catch it. Not so I guess but rather a brood fish collection program. If this applied to fish that were caught, tagged, and released by fisherman, the news might well suggest it is wise to harvest 10 lb fish instead of releasing them at least in the waters where the findings support the decline of released fish. I have a hard time believing that the stress from being caught stifles the growth of a healthy trophy fish that was growing normally prior to being caught. Now, an older fish that is on the verge of decline, that's a different story. Being caught could push it over the edge and it could start the decline ever so slightly earlier, but I'm thinking negligible at best. I realize this is a blanket opinion of mine and I should never say "never". So, maybe one out of a bagillion fish stresses out and never grows again, but it can't be the norm. I hope I do not sound like I am arguing, because I have nothing to back up my opinions. It just seems unlikely that the stress of being caught stops the growth of a healthy growing fish. I can see where, without many practicing catch and release, it might be difficult to grow trophy sized fish in public waters. Perhaps the program is a victim of its success. There are more large fish but they can't now be sustained by the resource and are in decline. Not sure what defines a "lunker" in the program but if the data were to include fish below this definition there are probably clues as to the size at which they should begin to encourage harvest to keep remaining large fish growing. In Alabama, the theory behind the world record BG included the difficulty of catching them in the clear water. But those that fished the lake for food caught numerous large fish. To be sure, some must escape the fisherman in order to attain those very large weights. Even so, one can't ignore the impact that harvest has on freeing resources for remaining fish. HUM! 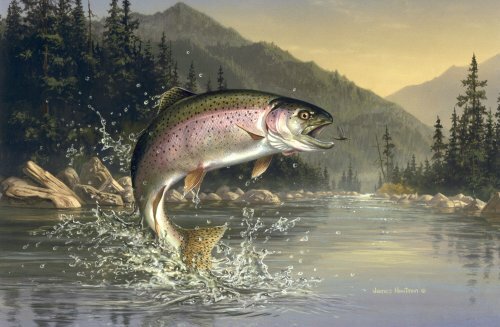 Are there fewer trophy's in public waters? I am not sure. I know the past couple of years TBend has been the number one bass lake and produced a lot of them over 10 lbs. A friend is a guide there and he said a lot of pressure has made it a tougher lake to fish this year. Rayburn is now number one and was in the top 5 when TB was ranked number one. Do I think there are a lot of trophy's out there? yep, I just think they have a lot of pressure. And I think L. Fork continues to produce the most trophy lmb caught per year. And I don't know a lake with more fishing pressure. Tracy, I've been trying to figure whose post yours is in response to but since I'm the only one to typed "public" I wonder if it were mine. Just to be sure, I wouldn't disagree with anything you said. My post dealt with catch and release philosophy and whether it without harvest is enough to keep large bass growing. I found out a few things. To qualify as a ShareLunker it must weigh a minimum of 13 lbs. Or at least 70% the weight of the existing state record. Makes more sense now. By the time they achieve this weight they are nearing their maximum weight simply from lake conditions and are growing slowly or could be declining already. If weakened by capture and the hatchery handling, I could see them never recover if released back to the original waters. Still have questions whether they are released back to the wild or if the remain at the hatchery indefinitely. I guess that's up to TPWD but it was not clear at the website. Just covered what you do so the fish can be picked up by TPWD and how to ensure the fish survives. Whether these findings are applicable to pond owner aren't clear but I would think that provided the fish growth still remains good when caught (good RW) then one should be able to handle the fish well and release it expecting more growth (whatever its weight).